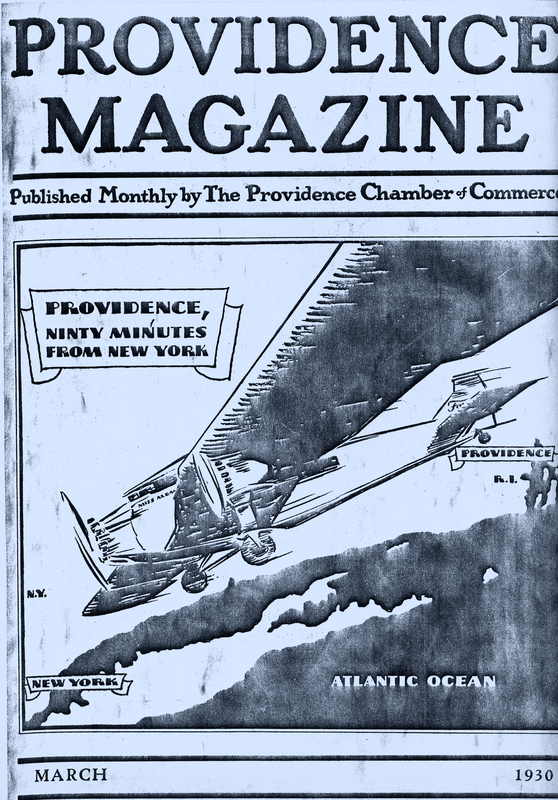 As the cover states, the Providence Magazine was published monthly by the Providence Chamber of Commerce. In March of 1930, the state of Rhode Island was in the process of developing Hillsgrove Airfield in Warwick into becoming the first state-owned airport in the country. The magazine cover depicts the anticipated 90 minute passenger flights from Rhode Island to New York City. Today, Hillsgrove Airport is known as T. F. Green Airport.